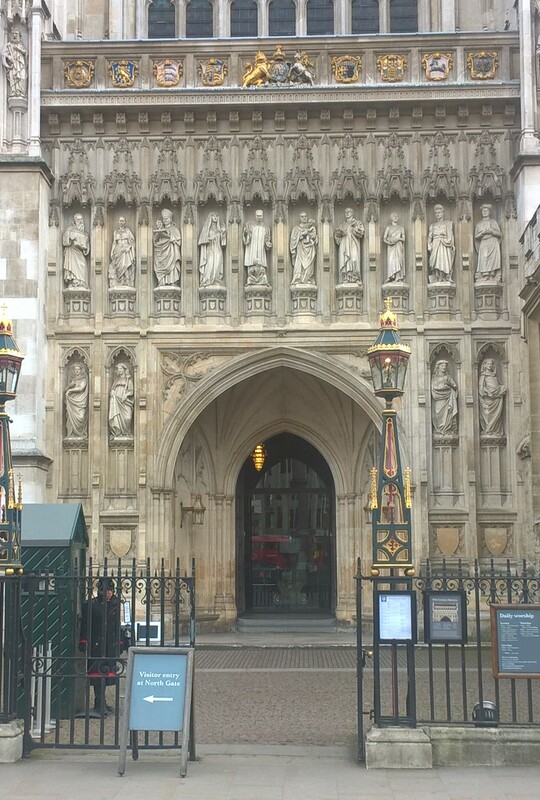 Walking into Church House you go past the busy, touristy West Front of Westminster Abbey. Not many people lift up their eyes to observe the statues of the 20th century martyrs that were put there as a Millennium project. Luwum stands there – a reminder, for those who care to look. If you have been keeping up, you will know that I talk about R’n’R here. Originally, it stood for Reform and Renewal. However, nothing stays the same, and it’s now official that this extensive programme is to be called Renewal and Reform. Fortunately, that means we can still talk about R’n’R. So that’s all right. The Bishop of Sheffield was emollient and non-combative in recognising the issues facing dioceses, Bishops and training institutions (jargon alert! TEI = Theological Education Institutions. Remember that. It will be back, along with IME = Initial Ministerial Education). He offered all sorts of assurances about reviews, listening, feedback, and so on, which I suspect the TEI folks will not quite believe. Mike Eastwood, Diocesan Secretary of Liverpool, who is seconded to R’n’R’s Lay Leadership task group, set out some ways in which central work will be done to enable lay ministry in the parishes. It will be interesting to see how they can avoid the ‘we’re from Head Office and we’re here to help you’ syndrome. There is, inevitably, an R’n’R website area. It’s confused about what order the ‘Rs’ come in, but if you want to follow things through, click here. The main R’n’R debate was about RME – how we fund ministerial training. (Read the paper here.) Behind the controversy is the rather curious arrangement by which ordination candidates are discerned, funded and trained. The TEIs are independent charities, not funded by the Church, other than by fees they charge to students. The dioceses bring candidates forward, and find them jobs after training. That’s why any changes to the funding system are very complex and can have significant, if unintended consequences to any of those three parties. But when it came to the vote, the most radical amendment was thrown out, and the Bishop accepted the less radical one, which does at least commit the central church to better consultation with TEIs and dioceses. The motion as amended was passed, and one can only hope that the central powers that be do enter into a better relationship with the TEIs as partners as the changes go through. It was a great Synodical occasion, for new members the first time a proper debating battle has happened. There will be others, don’t worry. The morning’s debate was an absorbing one about the effect of sanctions on benefit claimants. You can read the supporting paper from the diocese of West Yorkshire and the Dales here and the paper from the Mission and Public Affairs council here. There were heart-rending tales of parishes dealing with people at the utter limits of survival, having had their benefits cut off after raising appointments. Foodbanks, handouts, suicides, hungry children… it was grim stuff. Speaker after speaker was at pains to say we are not anti-Government, but that we have evidence showing the sanctions regime is the wrong way of reducing dependency. Sir Tony Baldry encouraged people to make an appointment with their local MPs surgery. The MP can’t escape; s/he will probably take your evidence to the appropriate minister, and thus a review of the harsher aspects of austerity. This was an example of a diocesan synod motion that was timely and caught the mood of the Synod. An electronic vote was called, with 320 votes in favour and none against. Press reaction will be interesting. I’ve noted the ever-present undercurrent of discussion and lobbying about human sexuality issues during these brief February sessions. Something that will add to the conversation is the release of a six-page letter to Jayne Ozanne from Archbishop Sentamu on behalf of both Archbishops. It sets out the ‘official line’ in some detail, particularly refuting any idea that the Church has condoned homophobia, and it gives you a good steer through the complex waters of international Anglicanism’s views on this tragic subject. Probably essential reading for all Synod members before the July Facilitated Conversations. In other news… Should you be a Synod member reading this, I look forward to seeing you in York. And I encourage you to respond to the consultation in GS Misc 1133 before the closing date. Please? Pretty please? *Some are dead, and some are living from In my life, the Beatles, Rubber Soul, 1965. A winsome Lennon-McCartney number with that ground-breaking harpsichord middle eight. 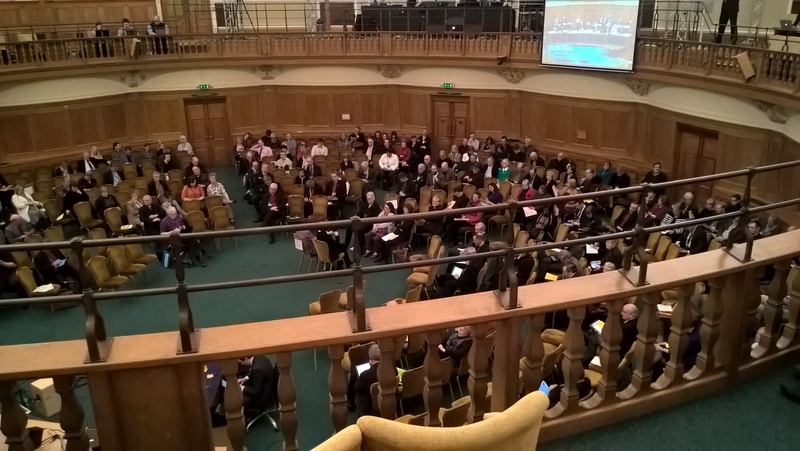 This entry was posted in 2016: February - London, General Synod and tagged Church of England, Facilitated Conversations, General Synod, R'n'R, Reform and Renewal, Renewal and Reform, Worship. Bookmark the permalink. Thank you for your continued updates. As a member I think it has provided a fair and well-written summary of each day so please keep writing it. Thanks Graham. The blog is partial (in both senses of the word) but I do try not to be rude about people or ideas. Yes, maybe an ‘RM’ fringe group… Probably lots of TEI people would turn up thinking it’s a misprint! 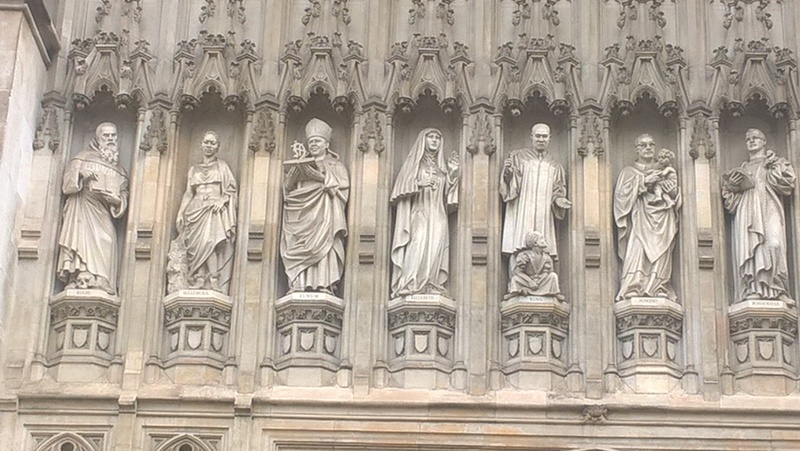 Many thanks for your helpful blog, Stephen – as a newbie synod member I’ve found it helpful to remember the events of the days and reflect on what happened. One question about procedures – with Ian Paul’s amendment to the TEI motion Jason Roach stood on a point of order to ask for a recorded vote. Can I ask what the significance of that might be? I know that it meant the vote was in a sense private and not ‘show of hands’, and that the people who voted each way will appear on the C of E website – but would there have been a deeper motive behind that? Thank you for the appreciation, Peter. a) as you say, names will be recorded and might be used in evidence another day! b) it could be used to demonstrate to strength of feeling about the issue at a later stage. That happened with the Benefits debate – demonstrates to Government and the media that we are united on the topic. In this case (Ian Paul’s amendment) it might be that people want to be able to quote the strength of feeling about the ‘national church policy’ question as the RME proposals are worked out. But I’m guessing. Hoep that helps a bit. Standing Orders (or a better expert than me) will reveal all. I have to say I’m finding the whole experience absolutely brilliant – the issues, certainly, and the chance to bring some of our local issues to a national stage, but also the whole procedural side as well – arcane but beautiful. Good to know there are others fascinated/engaged with the minutiae of Synod. Someone has to be! Indeed, someone has to be – and those Standing Orders need to be grasped. As a former member, a long time back, it worries me now when I read or hear current newbies being disingenuous about them. The old ‘That the question be not put’ trick in order to send a motion away until the next session can be a powerful tool if used by those who want to put a spanner in any particular works. So it’s great to see them explained simply here. Having read Misc 1133 I am writing to support the proposed amendment to Canon B8 regarding the vesture of clergy, and to support the recommendations outlined in Paragraph 7. Personally I prefer to wear robes for most services, but I fully support the proposal to allow clergy and PCC’s to set their own ‘seemly’ dress code for Sunday services. I have slightly more mixed feelings about occasional offices. Obviously the world will not cave in if a priest takes the service in a suit or suitably smart clothes. However I am somewhat wary of offering the choice to wedding couples, or bereaved families. It is clear that this is now a ‘loaded issue’ in some churches at least, and I am not sure how pastorally helpful it is to offer a choice in the circumstances. Wedding couples, especially perhaps those wanting a more traditional wedding (with clergy in robes) may feel some pressure to comply with the clergy’s wishes not to robe. That said, the argument might go the other way for those wanting a simpler service. On balance I feel the compromises outlined in paragraph 7 offer the right line. For funerals I feel similar arguments apply. With regards to Baptism I feel the local ‘Sunday service policy’ should take precedence. Baptism represents a welcome into the church, so it seems strange for the baptism party to be dictating the dress code. In normal life, we wouldn’t expect a house guest to dictate what a host would wear. That said, the host should hopefully be sensitive to the correct attire for the occasion, and the umbrella word ‘seemly’ provides some degree of assurance here. I trust that is all that is required but if there are any further matters to clarify please don’t hesitate to contact me.